10. F-15 by Jamie Rothwell: This model is his first version of the F-15 and it is proving to be very popular still, even with and updated version available. 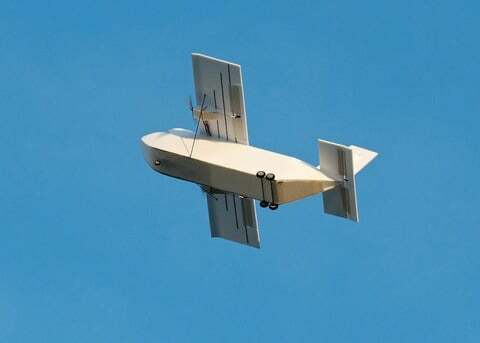 The Eagle is a great looking model and is suited for parkjet type flight. The large delta wing, twin vertical stabs, and large control surfaces make it a great addition to any fleet. 9. SU-31 by Tomas Hellberg: This traditional tractor set up of an old warbird style profile flyer stays popular for its rock solid design and great documentation. If you want to be up and flying in a few hours, give the SU-31 a shot. 8. Mirage F1 by Marcel du Plessis: It's no wonder this design is popular. Just look at it! The stunning lines and simple build principles have this one sitting in our fleet. Get yours ready today. 7. Cargo Twin by Jamie Rothwell: Have to be honest, this one is out of the blue. But hey, the Cargo Twin design is unique and for those looking for something totally different than your average fighter jet, it's easy to see why the Cargo Twin was a popular download. 6. F-35 by RC Cal: One of the most popular designs out for cruising around your local flying field. The F-35 has all the right ingredients, including large control surfaces, large wings, and great flight envelope. You add that to the fact that it's the newest jet on the the block and you have yourself one popular design. 5. Mermaid by Marcel du Plessis: The Mermaid is perfect for summer flying. It's perfectly suited to fly off of long grass, calm water or just about anything in between. Based on an actual plane, the Mermaid is scale, easy to build and loves to get a little wet. 4. Eurofighter by Jamie Rothwell: The Eurofighter EDF is an excellent flyer and a perfect platform for modification and stable flying. The large delta wing, simple controls and easy construction make this Eurofighter a popular choice. 3. SU-37 by Jamie Rothwell: This is is the updated version, featuring plans that allow you to convert your design to and SU-37 if needed. Great looks, easy build, what's not to like? 2. F-22 by Steve Shumate: The F-22 Raptor has been at the top for so long, it's weird saying its the #2 most popular download on Parkjets. But the Raptor is amazing. 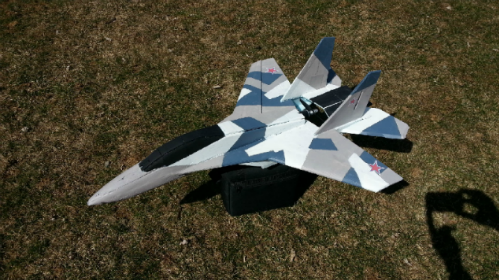 Thrust vectoring, scale looks in a foamy, accessories and kits available from vendors, the F-22 is one of the best designs ever. 1. F-15 by Jamie Rothwell: This new addition to the site, like the SU-37 at number 3, is an updated design of a classic air superiorty fighter. Using a score and fold method for building up a semi-scale model is no problem if you are crunched for time. Hey, it's a great platform for parkflying too, the F-15 is a great place to start if you are looking at a proven model.